If you are planning to buy a new TV, but you are tight on budget, there are some great models out there that come at an affordable price. 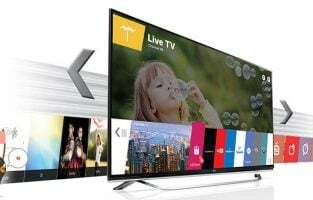 Here is the list of top best TVs under $300 ti buy in 2019. 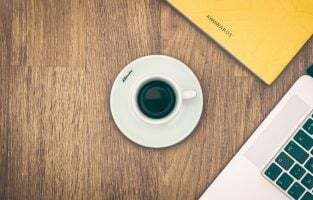 When you’re looking at a budget of $300, you will have to make a few compromises. The biggest limitation is size. You will either get lower pixelated bigger TVs or Higher pixelated smaller sized TVs. 4K UHD TVs are pretty rare to find. Keeping all of these factors in mind we have made a list of 15 TVs you can choose from. 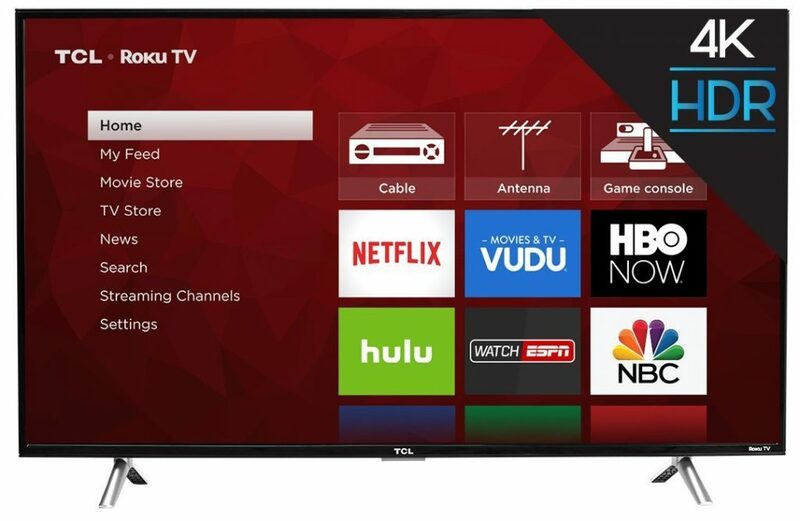 Commonly seen as the underdog company, TCL is one of the leading manufacturers of televisions today. 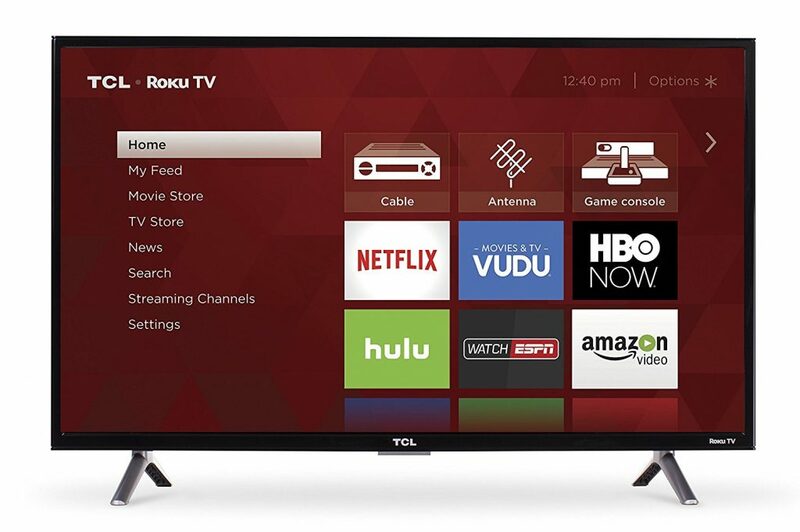 The TCL 43S405 is the best TV you can purchase in this price range. It shows off a stunning 43inch 4K display with excellent picture quality, making video output almost lifelike. The real highlight of TCL TV’s apart from the cost and clarity is the Roku’s streaming services. The Roku interface offers 4000+ streaming channels, gaming consoles, and other multimedia devices that you can connect via HDMI. These TV’s are even integrated with a Roku app which makes downloading titles hassle free. 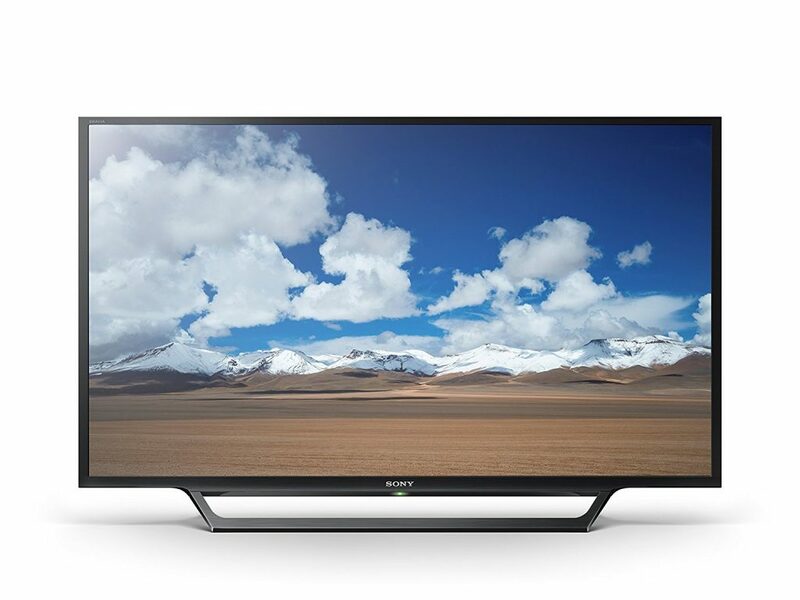 The Sceptre X509BV comes with a stunning 50inch 1080p display. 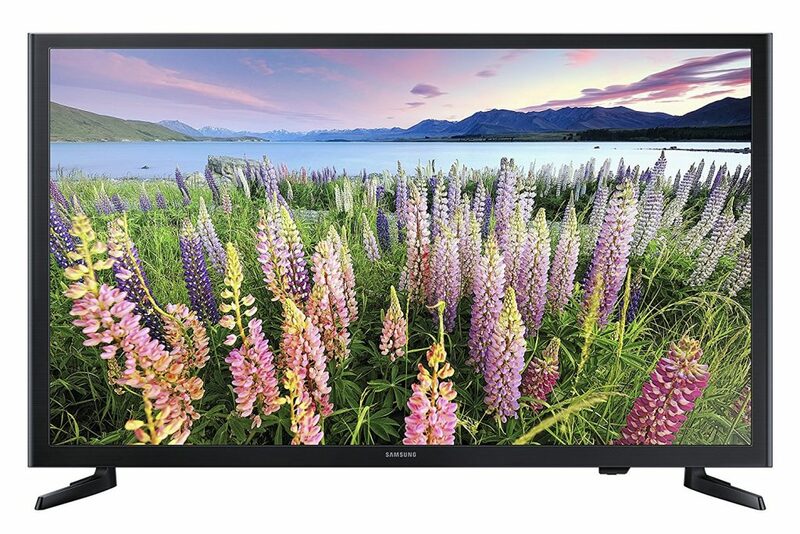 Weighing over 24.9 pounds this 50-inch beast comes with an HDMI port where you can connect a ROKU system or something else of your choice. It comes with an MHL, VESA, and USB port. More information on this TV can be found at the Amazon Link. 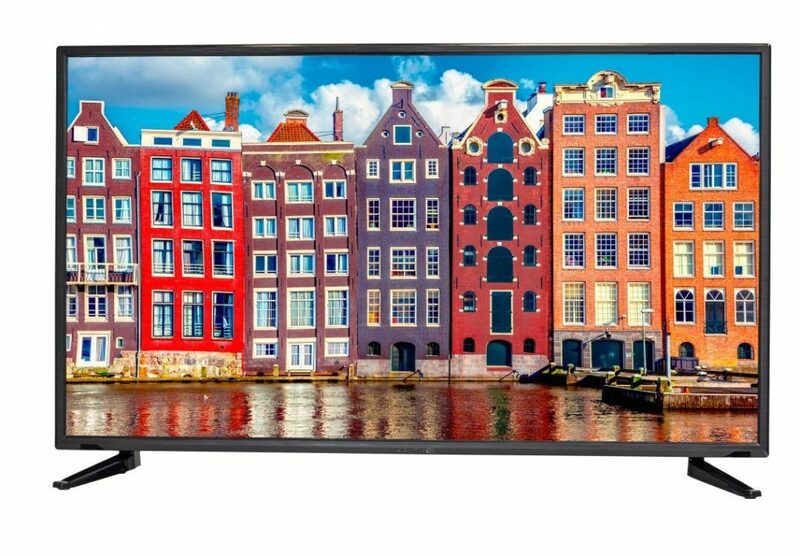 This 49inch TV shows off a 4K UHD screen for crispier images and video quality. The reason it missed #1 on our list is that of the non-integration of a smart OS in the set. It comes with a 60hz monitor which makes it ideal to play any game without lags. LG obviously has a very reputed name in the Television industry. This TV throws a booming FHD 1080p unit with a wide range of colors that promise almost lifelike experience. The image quality is said to be extremely crisp and clean. It comes with a cooler master technology. LG has never failed to impress in this line of the entertainment industry. Yet again on no. 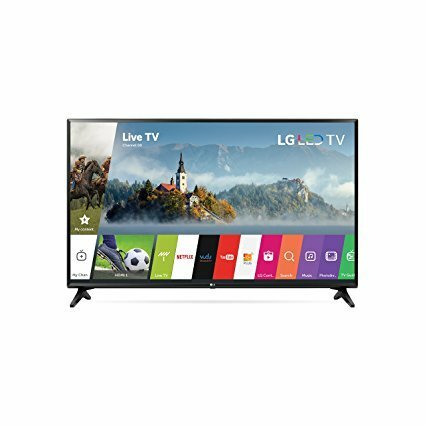 5 we have the LG 43LJ5500. With a booming 1080p FHD panel, this TV lets you use Netflix, YouTube, Hulu, etc with ease due to the integration of WEBOS 3.5. The virtual surround technology, makes video quality feel like it’s happening right in front of you. The TV (at the time of writing this article) is worth at 286$ and we could guarantee this won’t fail to impress. 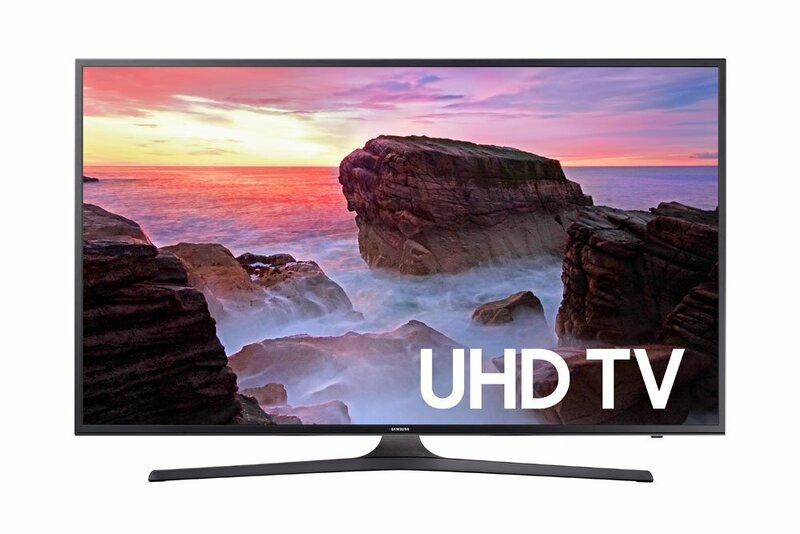 The Samsung UN43MU6300 has redefined the TV experience to a whole new high. The TV upfront will cost you 340-360$. However, a refurbished set will cost you around 299$. The sharp 4K panel not only provides a realistic experience but also makes the image more crisp, vibrant and real. Apart from this, the TV comes with Samsung smart hub which allows you to connect your phone and other multimedia devices and stream movies, music, videos etc. 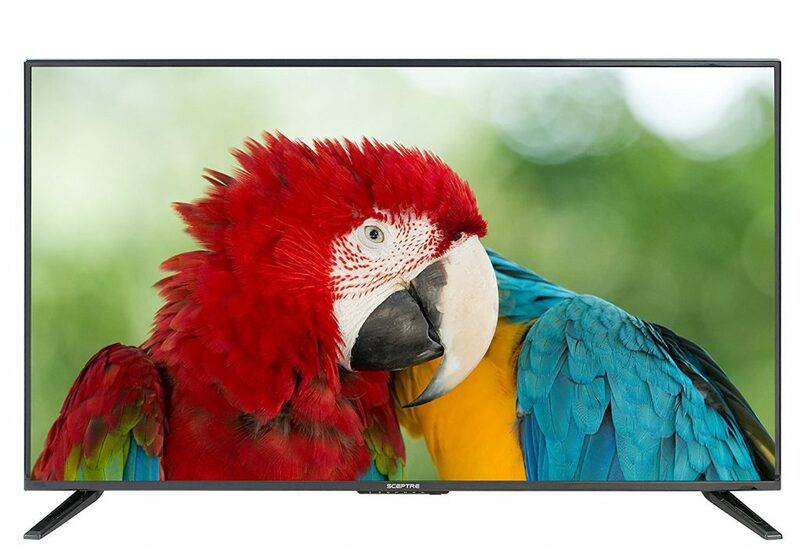 This 50inch beast comes with a stunning 1080p panel. 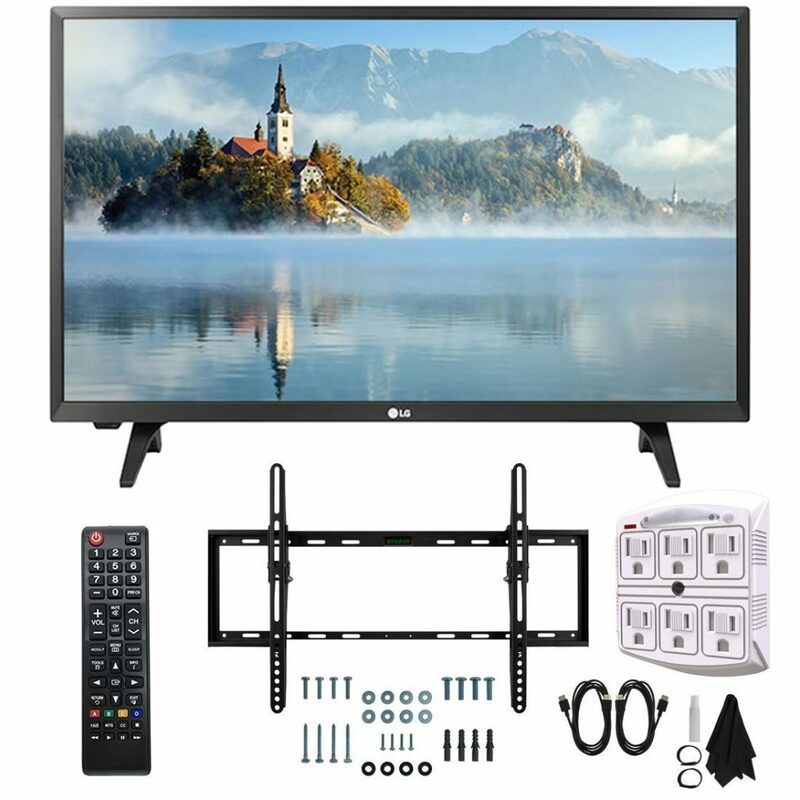 With over 3 HDMI ports and with an MEMC of 120 this TV is suitable for all forms of entertainment ranging from action sequences to romantic getaways. 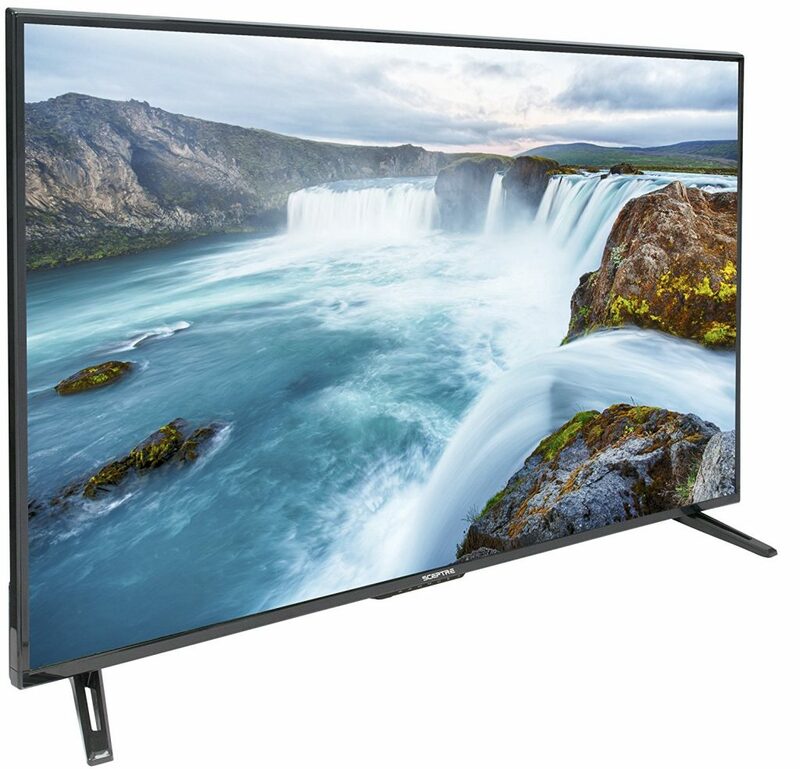 Weighing over 32.6 pounds and a refresh rate of 60Hz, the Sceptre X505BV is a great buy for people who want a 50inch TV but can’t afford the big players like Samsung, LG, Sony etc. At 1080p picture quality, the TCL 43S305 is by far the best budget gaming television ever created. The 60hz refresh rate provides a smooth transition between frames at 60FPS. Saturation of color isn’t too high implying a more real life like picture quality and amazing detail. To improve the experience, TCL TVs come with a feature to personalize the home screen to your ease thereby saving time searching for services. 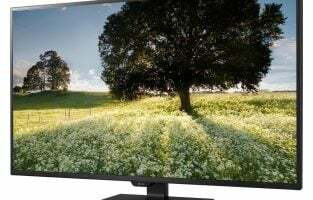 This TV comes with an extremely affordable price tag. It costs $199 on Amazon. It’s known for its color accuracy and precision. Reviews on Amazon and YouTube say that it’s one of the best TVs’ launched by Sceptre. 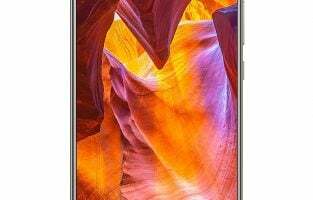 Due to its sharpness and real life like video output quality, we think, at this price point it’s one of our top picks. The Sceptre X438BV delivers a breath-taking 1080p LED display coupled with a 120HZ panel. This is one of the most budget efficient TVs’ because it costs $199 only. TVs’ of this configuration would cost way too much if sold by any of the big OEM’s. 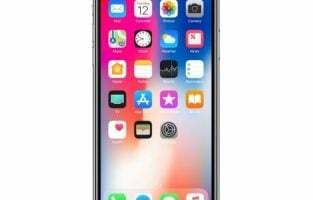 It comes with 3 HDMI ports you can use to connect any Blu ray player or any gaming console. The only drawback of this TV is that it isn’t smart. Apart from that, it is yet another beast by Sceptre. 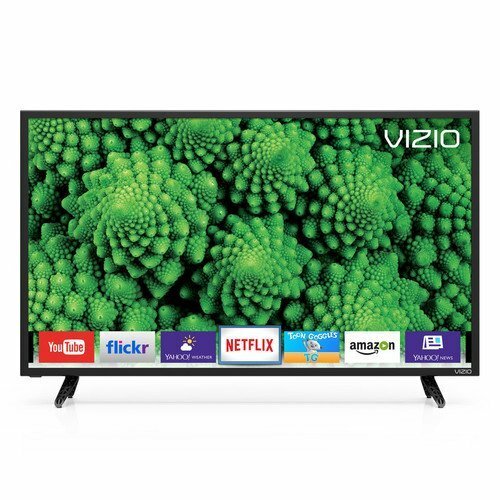 The all-new Vizio D32-D1 comes with a fantastic Full array LED display. 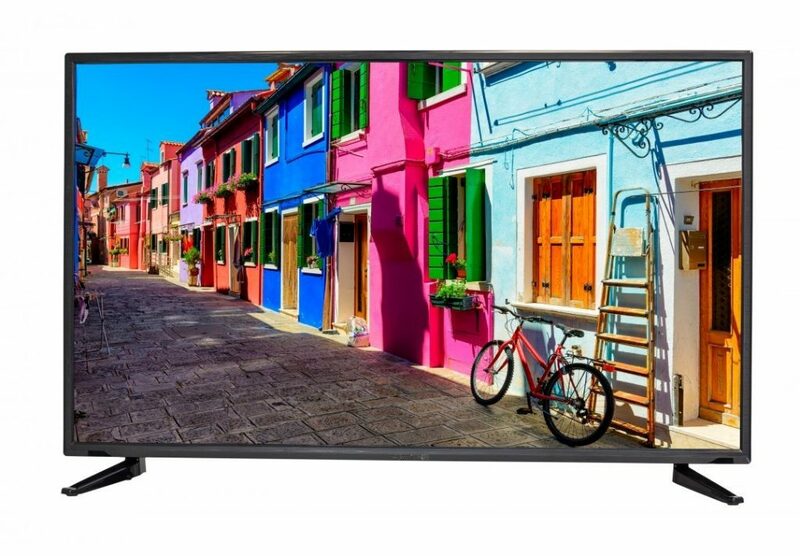 With over 2million screen pixels, this TV produces incredible sound and picture quality with crystal clear details that make your television experience extraordinary. This is one of the few TVs’ that come with a refresh rate of 120HZ. With access to over 200 apps on the Vizio internet app store, there doesn’t exist a need to look anywhere for cable or any other streaming service. HDMI ports are provided. 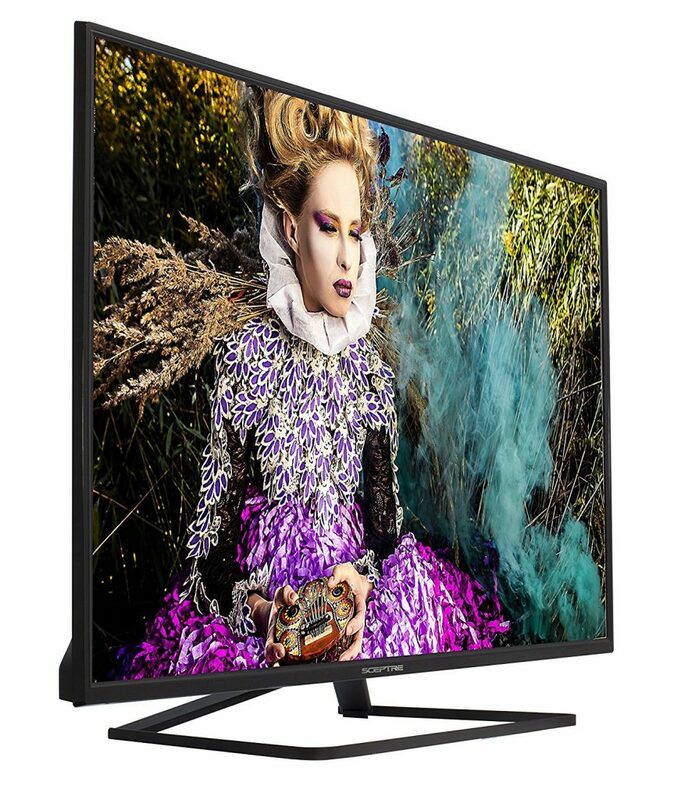 With a stunning 32 inch 1080P panel, this TV steps up the game of stylish TVs in the market. Powered by the X-REALITY engine, every single detail is crisp and clear. In addition, this TV has Netflix, Hulu, YouTube and other services that you can choose from. Weighing over 16.2 pounds this is one of the lightest TVs on the market. It comes with 2 HDMI ports and 1 USB port which you can plug your flash drive and play movies, videos, the music of your choice. Another great feature of this TV is the photo sharing technology. 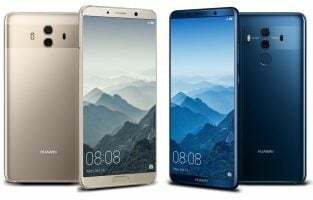 This technology is helpful to display pictures from your phone to your TV thus reliving memories. The Samsung UN32M530D is another masterpiece created by Samsung. It comes with a 1080p 60hz panel that makes it suitable for gaming and other forms of entertainment without any hassle. It is powered with 2 HDMI ports and Dolby advance speakers which moves your TV viewing experience to another level. 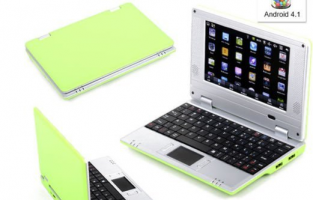 It has a built-in WiFi codec for fluid Screen Mirroring and smooth picture viewing. You can redeem services like Netflix, Hulu, YouTube at ease. Bundled with a 720p 28inch screen, the LG 28LK400B comes with a breath-taking LED screen. It comes with an HDMI port that you can use to connect your multimedia devices like BLU RAY player, gaming consoles etc. The colors are sharp and vibrant. It’s a must buy for a college student who’s tight on budget as it could be used as a PC monitor too. It comes with a vibrant 60Hz 1080p display which provides seamless motion. It’s powered by a Dynamic Audio sound that helps you get most out of your entertainment system. Like every other TV in this budget, it comes with a USB drive to play your videos or movies from a USB.